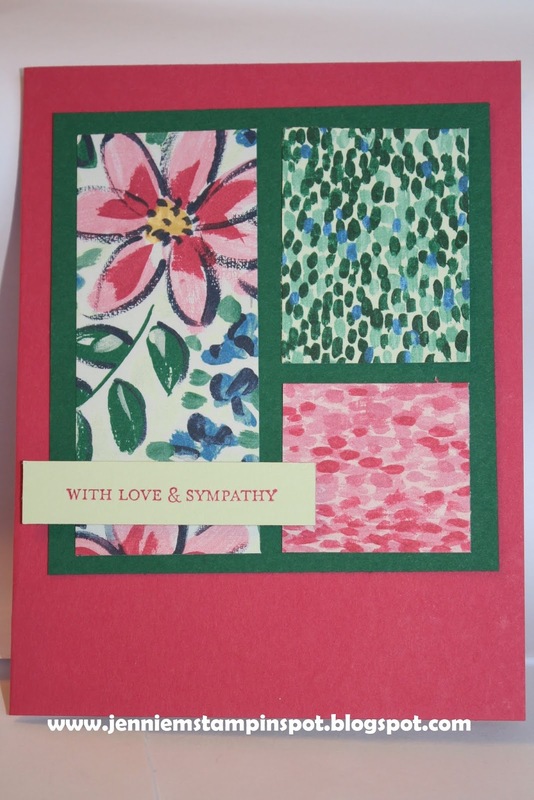 This sympathy card came together quickly thanks to the Splitcoast Sketch#703 here. Itty Bitty Greetings is the stamp set with some Garden Impressions DSP. This sketch would be great to show off DSP! Which is buy three get one free thru July 31st!